I took the photo somewhere in a wild meadow. I like the name corn daisy. If this isn’t its name, it should be! I actually bought a wildflower book because I never recognize anything I didn’t personally plant … but I STILL can’t find what I’m looking for. We have something that looks just like that, but I don’t know what it’s called either. It is lovely, though. So many of these daisies are difficult to distinguish from each other. I can neither confirm nor deny that this is corn daisy. 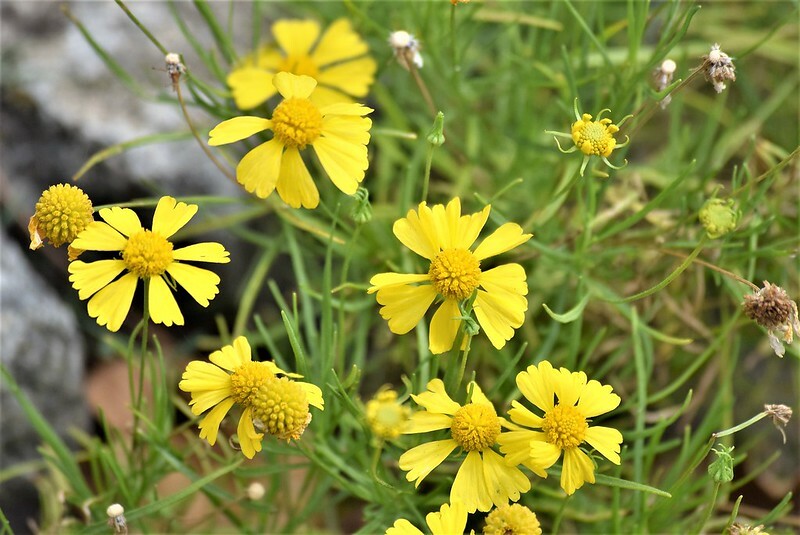 To me, it also looks like coreopsis, but I can not identify the species. It could be because of the split petals. It is quite fun to discover the names of the varioius flowers. That’s it exactly. The cleft petals are what made me think of coreopsis.